A great website is a vehicle of market leadership. 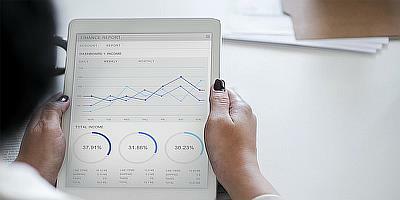 It is invisible in the sense that the technology enables a seamless connection between the “group mind” of the marketplace and the “thought leadership model” of the business. It is very visible in how it vividly displaying the clear leadership of the business in its segment. So it’s both visible and invisible? Isn’t that contradictory? 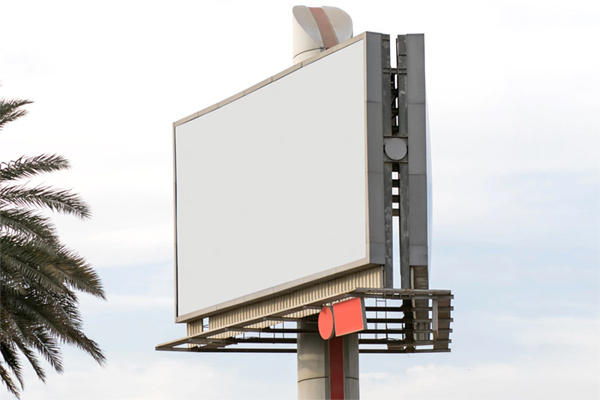 Business leaders need to know that a business’ web presence is like a billboard. A billboard has 2 main crews that work on it. The first crew is the construction crew that builds the physical billboard. They drive the pilings into the ground, hammer things together, and raise the massive, blank white sign up with a crane. The second crew is the marketing team that does market research, brainstorms, and crafts a compelling message that gets placed on that sign. So, let’s not let the intricacies of the web technology (construction crew) obscure where the real power is: the message (marketing team). Use the best technology, yet like the construction crew make it seem invisible to both the business leader and the marketplace. As a separate and distinct function, help evolve a clear message of leadership. I can't help but notice the name of your business. 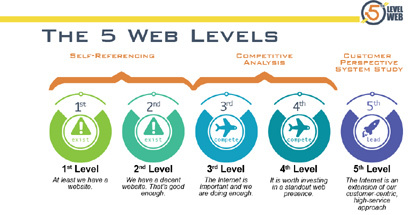 Do you do any kind of web other than a "5th Level Web"? And what do the levels mean? Yes, absolutely. 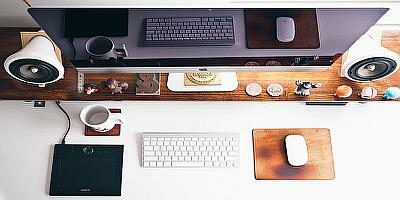 We design, host and support 3rd level websites on up. A 3rd level website presents a professional appearance and even a web expert would not notice any problems with it. We do not do 1st level (obvious problems) or 2nd level (problems an expert would notice) websites, however, and recommend against them in general. If it is worth being on the internet, then it's worth doing it right. Some of your prospective customers may only have your website to judge you by, so issues like missing images, broken links, lack of mobile friendliness, or a design that looks like it's from 1995 reflect poorly on you and your company. To learn more, click here to see the 5 levels guide in a new window. 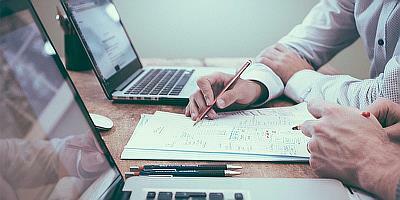 There are too many factors in doing a proper website to give a quick answer without knowing more about you and your needs.However, because we only do 3rds, 4th, and 5th level websites, it's impossible to do a proper job for less than about $1000 for the most basic, simple web we could do. Keeping the cost this low requires the client to provide the copy and imagery and means we are using a template layout rather than a custom design. Most of our projects are more than that and we feel are well worth it for the return on investment and powerful branding they give our client companies. 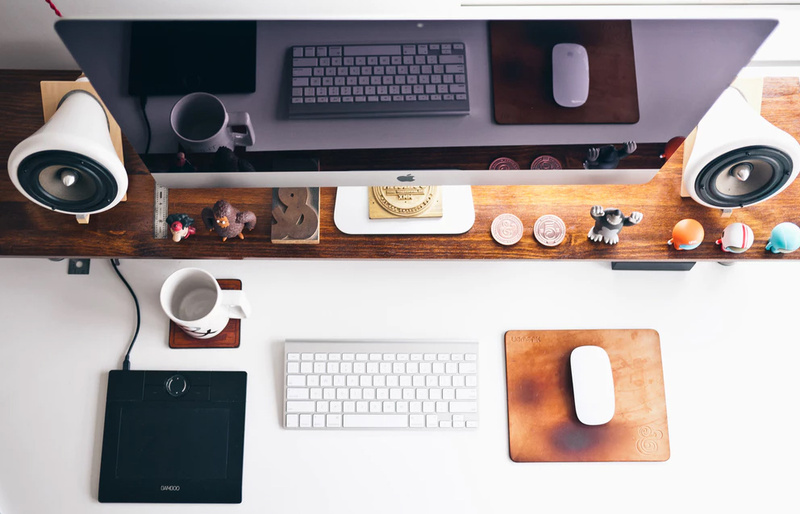 Want to know the cost of bringing your dream website to life? We are happy to discuss your project in detail with no cost or obligation and give you a quote based on your specific needs. Click here to contact us and request a quote. Can I or my people make changes in a website you build? Yes. All of our websites work with our content management system (CMS) which gives you access to edit text and images for the majority of the content on the website. Do I need coding or design skills to do my own updates on a website you build? Not at all. We handle the layout and design for you and our content management system (CMS) lets you simply upload new images or add and edit text. It is very simple and user friendly so you don't need to do any layout, coding, or design at all. Are your website custom designed or based on templates? We can do it either way- full custom or template based. We have excellent designers and can do a ground-up, beautiful, fully custom website to bring your vision to life. Since custom websites are very expensive, though, we have a library of pre-existing layouts that we can customize to give your company a distinctive look while keeping the costs manageable. In either case, our content management system (CMS), leads management system, and other features are integrated with your new website. Digital marketing isn't just marketing with digital media versus traditional media like direct mail and newspapers.